Give into the do-it-yourself trend with a spirit-making gift that's a cool gift for the spirits lover and a great decorative idea to boot. 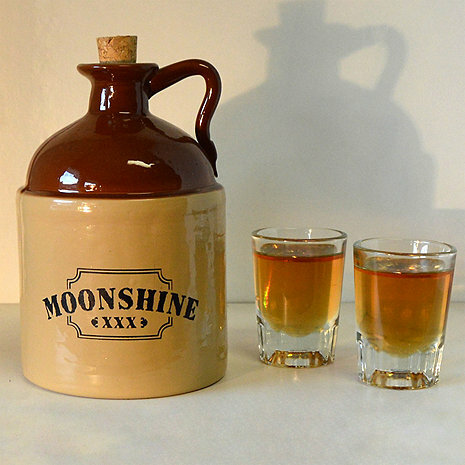 This 'moonshine' comes with 1 moonshine jug, 3 essences ( Apple pie, Cherry and Peach) . Simply use any Clear spirits or vodka, add essence and enjoy. How large is the jug? BEST ANSWER: Thank you for your question, the Jug in this kit has a capacity of 750ml. where can i buy more of the essences? BEST ANSWER: The Moonshine Making Kit comes with the essences kit but we do not offer the essences separately for purchase.